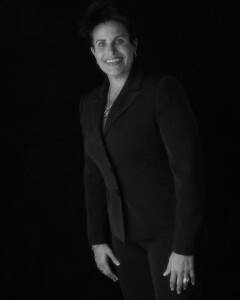 Over 25 years of corporate and public service experience, Linda Webb developed many functional competencies that include: global complex fraud investigations, SIU operations management in all lines of insurance; loss control; risk management; internal audit operations; corporate compliance integrity programs; complex investigative operations; domestic and international investigative experience; and law enforcement. Ms Webb is currently the Founder and CEO of Risk Integrity Management, a company dedicated to finding cost containment solutions in all areas of risk mitigation. She was most recently the President of Contego Services Group, managing over 115 employees nationwide, over 1000 investigations monthly, while managing cost containment departments in insurance that included Subrogation, Due Diligence, OFAC, Fraud, SIU, PI Claims Investigation, Transportation and Translation, Legal Bill Review, and Loss Control, and Safety. Webb is also co-author of a motivational book, “The Athletic Mindset: Three Tools For Success” and a nationally recognized speaker and fraud expert. Her expert tenure in the investigative field also includes working as the Assistant Vice President for American International Group’s (AIG) World Investigative Resources, Inc. located in Dallas, Texas regional headquarters. Ms. Webb has directly supervised the domestic investigative operation for AIG, overseeing 4 regional directors, and 61 investigators across the United States. She has hands-on expertise working very sensitive investigations domestically and internationally, involving high end corporate exposure cases. Linda has worked very closely with local law enforcement, task force operations, FBI, special prosecutors, Attorney General, and other federal and state enforcement agencies who work in the fraud arena. Linda participated in multiple international, federal, and state task force operations domestically and internationally involving millions of dollars in potential fraud exposure from all different types of industries.